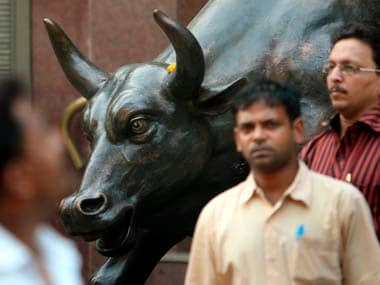 Mumbai: The benchmark BSE Sensex rebounded over 57 points in early trade today on sustained buying by domestic institutional investors amid mixed trend in other Asian bourses. Short-covering of bets today being the last session of April expiry in the derivatives segment supported the recovery. Asian markets were mixed as robust corporate earnings helped Wall Street calm concerns over the surge in US bond yields. 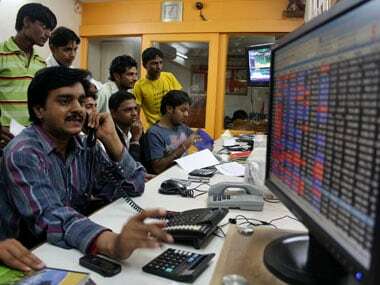 The 30-share Sensex recovered 57.35 points, or 0.16 percent, to trade 34,558.62 in opening session. It had lost 115.37 points in the previous session. Realty, metal, healthcare, infrastructure, auto, FMCG and power sectors led the recovery. The NSE Nifty was also trading higher by 32.70 points, or 0.30 percent, at 10,586.90. Brokers said sustained buying by domestic institutional investors and a mixed trend at other Asian bourses, tracking overnight gains at Wall Street, mainly influenced sentiment here. 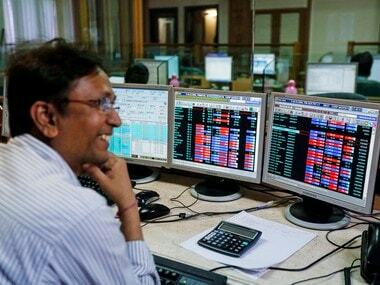 Major gainers were MM, TCS, Tata Steel, Sun Pharma, Yes Bank, RIL, HUL, Infosys, HDFC Bank, SBI, Asian Paints, Maruti Suzuki, IndusInd Bank, Bajaj Auto, Power Grids and Dr Reddy's, with gains of up to 0.98 percent. However, Wipro, tumbled 4.5 percent to Rs 277 after the company yesterday reported over 20 percent decline in its consolidated profit to Rs 1,800.8 crore for the March quarter, 2017-18. The country's third-largest software services firm had registered a profit of Rs 2,267 crore in the year-ago period, as per Indian accounting norms. Meanwhile, on a net basis, domestic institutional investors (DIIs) bought shares worth Rs 435.98 crore, while foreign portfolio investors (FPIs) sold shares worth Rs 304.79 crore yesterday, provisional data showed. In the Asian region, Japan's Nikkei was up 0.59 percent but Hong Kong's Hang Seng shed 0.77 percent and China's Shanghai Composite index too was down 0.98 percent in their early deals. The Dow Jones Industrial Average ended 0.25 per cent higher in yesterday's trade. The rupee recovered from 14-month low to trade higher by 11 paise at 66.79 against the US dollar in opening session today on fresh selling of the dollar by exporters and banks amidst higher opening in domestic equity market. Forex dealers said besides selling of the American currency by exporters and banks, weakness in the dollar against other currencies overseas supported the rupee. Further, a higher opening in the domestic equity market influenced the rupee uptrend, they added. The rupee opened higher by 2 paise at 66.88 against the US dollar at the Interbank Foreign Exchange market. 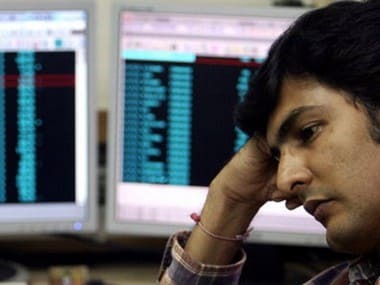 The domestic currency had tumbled 52 paise to hit a 14-month low of 66.90 against the US dollar, the third biggest single-day fall for the domestic currency this year, amid surging crude prices coupled with headwinds on the macro-economic front in form of widening trade deficit. Meanwhile, the benchmark BSE Sensex recovered by 57.35 points, or 0.16 percent, at 34,558.62 in early trade today.